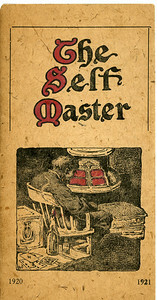 The Self Master Colony also known as Floyd's Self Master Village was a residence for men in need of help that existed from 1908-1938. 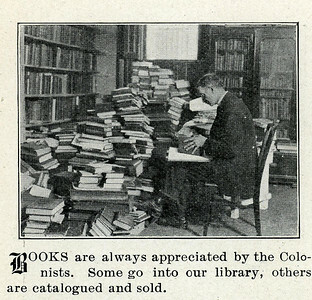 It was founded by Andress and Lillian Floyd and financed by Charles H. Ingersoll who was famous for his Ingersoll Watch company and his "Thomas Edisonesque" cement houses on Ingersoll Terrace. 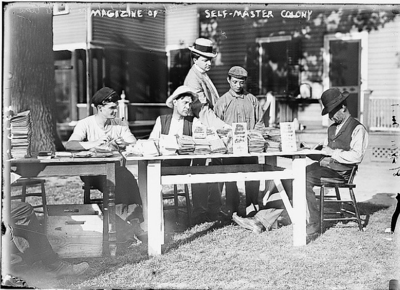 The colony was about 50 acres and was located on Morris Ave. where the municipal building and Frieberger park exist today. 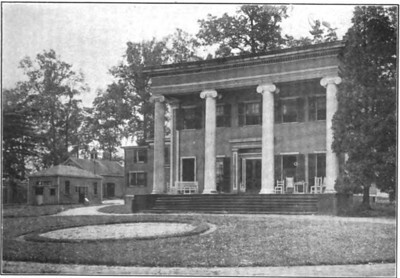 The only original building is now the Girl Scout Field Center in Frieberger Park. The main building was the Hoyt Mansion shown in photos in this gallery. Andress Floyd is also known for developing a section of homes near Kawameeh Park and naming some streets after some of those close to him. Andress terrace and Floyd Terrace after his first and last names, Lilian terrace after his wife, Olive terrace after his estranged daughter, Crawford terrace after his business partner and of course Self Master Parkway after the colony. He allegedly named some other streets after his favorite authors including Thoreau, Homer, and Carlyle. 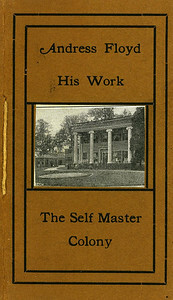 This pamphlet printed at the Self Master Colony in 1921 contains information about the colony and many photos. 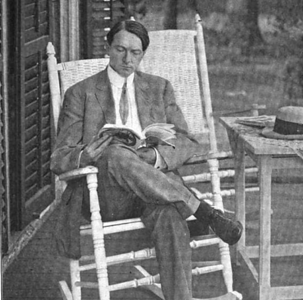 Andress Floyd, founder of The Self Master Colony on the porch of the Hoyt Mansion which was where Friberger Park is today. 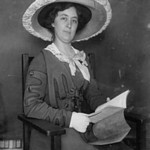 Lillian Floyd, wife of Andress Floyd. 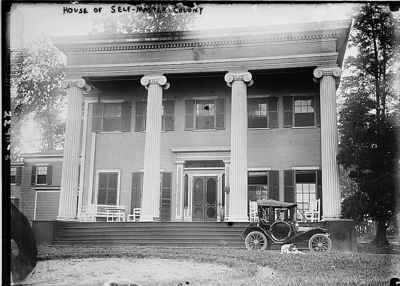 Originally the "Hoyt Mansion" this house became the main house for Floyd's Self Master Colony. The house was located where Friberger Park is currently and faced east . The recently discovered Sanborn map indicates the locations of the house and other buildings in the complex. Click on the "Map This" button to see this location and others on the map. 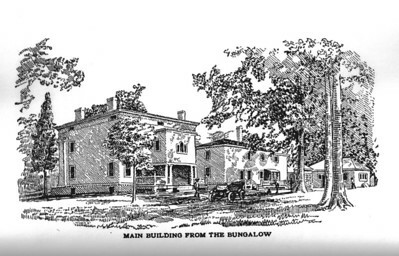 A rare discovery of a drawing of the rear of the Hoyt Mansion that was in the current site of Friberger Park. 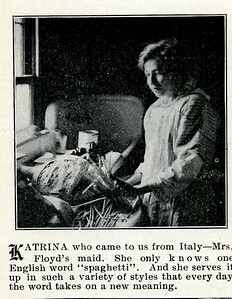 This drawing is from the 1913 book titled "My Monks of Vagabondia" by Andress Floyd which is still available in reprint. The artist did us a big favor by stating that the view was from the Bungalow. 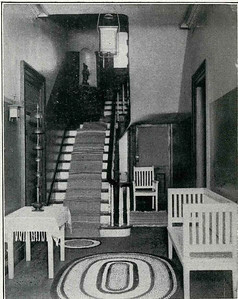 Center hall of the Hoyt Mansion. 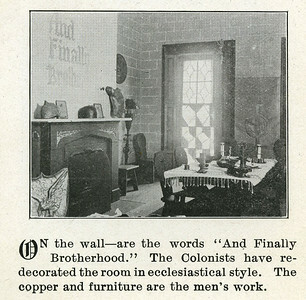 The dining room of the Hoyt Masion, the main house of the Self Master Colony. 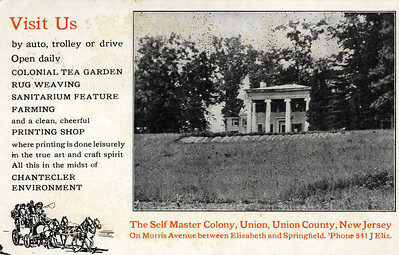 Promotional Post Card for the colony with an invitation to a lecture on the back side shown in the following image. 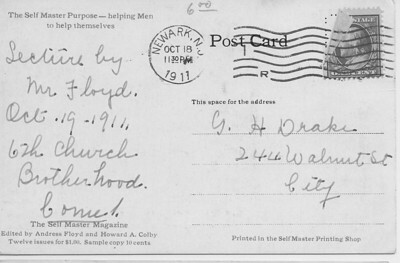 A post card inviting G. H. Drake to a lecture by Mr. Floyd on 10/19/1911. NY Times article about Andress Floyd giving a lecture at Carnegie Hall on May 21st, 1911. 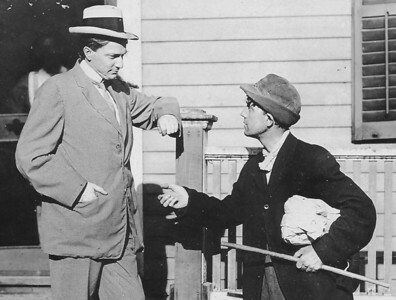 "It is said that a goodly portion of responsibility and credits goes to one motto: "Don't swear unless it is absolutely necessary" "
Andress Floyd poses with a new arrival in need at the back of the main house carrying an authentic bindle and stick. 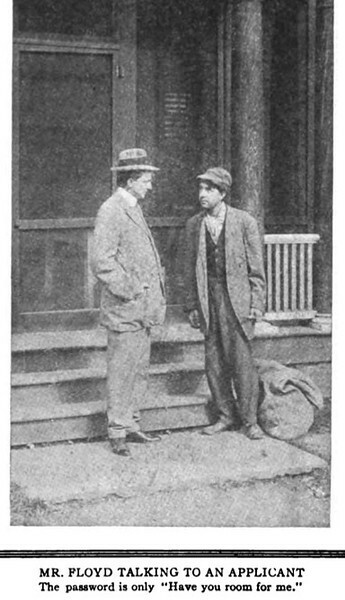 Mr. Floyd interviews a prospective resident in front of what is now the Girl Scout Field house. We are unsure if syntax counted when giving the password to get in. 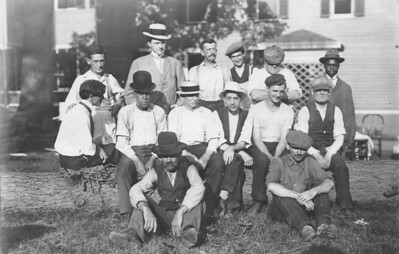 This very nice, high res photo taken about 1911 shows a group of the colonists behind the main house previously known as the Hoyt Mansion. 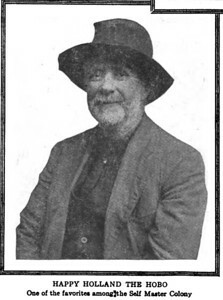 The 1910 census lists the following: Wife Lillian 30 years old and born in Ohio, Andress age 36 - Boarders: Marry Lenny 60, Charles Ford 41, Robert Lee 52, Carl Thompson 70, John Kelley 45, William Taylor 60, Cyrus Waterbury 42, Henry Richolt 33, Joseph Quirk 37, Robert Maroner 40, Robert Ewald 41, James Murray 39, John Riley 23, John Mehas 24, Charles Compton 35 We would imagine that a few of the folks in the list could be in this photo.